Rugging your horse - is it for them or for you? Blog Rugging your horse - is it for them or for you? Rugging your horse – is it for them or for you? 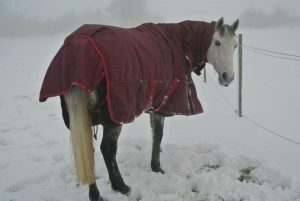 Adding a rug to your horse during the colder months is common practice nowadays. Especially as the majority of horses fit and in work are clipped out. In fact, many horses are seen lightly rugged even during summer months too. Recently there has been much debate about whether, as owners, we are over rugging our horses to ease our own conscience when it comes to cold weather. Vets have questioned if it has now gone too far, with owners forgetting that horses should be horses! Issues with over rugging are leaving vets shaking their heads and questioning owners. Over rugging can be just as bad as under rugging and a balance is ultimately what is needed. It is worth asking the question – if we have domesticated the horse to a higher level, isn’t additional rugging just part of their adaption to the domestication? Or does it run deeper than that? Lets lift the rug(!) and look below the surface to find out more…. ‘Horse and Hound magazine spoke to Dr David Marlin on the subject and his expert opinion was that adding more and more rugs was not necessarily the best thing to do. Although layering up is better – it comes down to how many layers is adequate and appropriate. Dr Marlin commented that it could actually cause problems rather than solving some’. So what do you look for when assessing if your horse requires more rugs? And what factors need to be taken into consideration? 1. Horses are designed to cope with cold weather – they naturally live outside! When temperatures fall below 0°C, horses keeps heat in by naturally increasing their metabolic rate. If turned out they are sensible enough to seek shelter – whether under trees or in a field shelter. Their blood flow will decrease to let the limb temperature drop. Only if it gets really cold, will they start shivering. According to Dr. Marlin, a horse feels cold when the temperature drops to below 0°C. They feel hot when it reaches 25°C. The area between these two is the horse’s thermoneutral zone. This zone is a much wider spectrum than most people expect. This is perhaps due to the fact that humans have a much narrower thermoneutral zone. Meaning humans feel the cold much more than horses do. Just because we are cold does not mean the horse necessarily is! As we know, your horse’s regular body temperature is 38°C. This body temperature is kept consistent by the horse eating regularly. 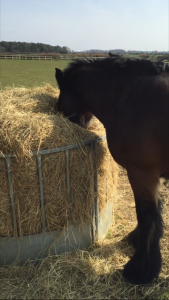 Especially fibrous foods – like hay. Heat is generated by fermentation of fibre within the horses hind gut. Feeding little and often helps to keep the horses temperature maintained. Think of it as keeping the fire stoked and burning. Due to the hairy coat that insulates them, horses do not lose body heat as quickly as a human would do. Horses would lose heat from making contact with colder additional surfaces such as the ground. They will also lose heat from their skin surface and through breath, droppings and urine. The horses temperature is balanced between heat lost and heat produced. Obviously when it is colder they will lose heat quicker than when it is warmer. Therefore as owners we assess what is needed to balance this out. Ad lib feeding, bringing them in etc – these are all ways to combat heat loss. Feeling the base of your horse’s ears, around their face or legs is not a true indicator of temperature. Place your hand inside the rug behind the horses withers. If it feels cold, consider an extra rug. If it’s damp, the horse is probably too warm and has been sweating. 6. An extra rug may mean an extra layer….of fat! Horses use a large amounts of energy to keep warm. This we have already understood above. If the horse is too heavily rugged and therefore overly warm, excess energy will be deposited as fat. Not the result we want! Adding too many rugs can also mean the horse warms up under the rug but not in other exposed areas. If the horse is too hot under his areas covered by the rug, the ability to cool down naturally is lost. Horses are designed to use fat reserves over winter to keep warm. 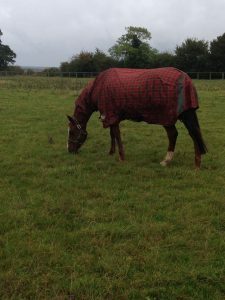 It may look lovely – your horse modelling one of the newest and latest rugs. This seasons colours might flatter the coat colour of your horse. 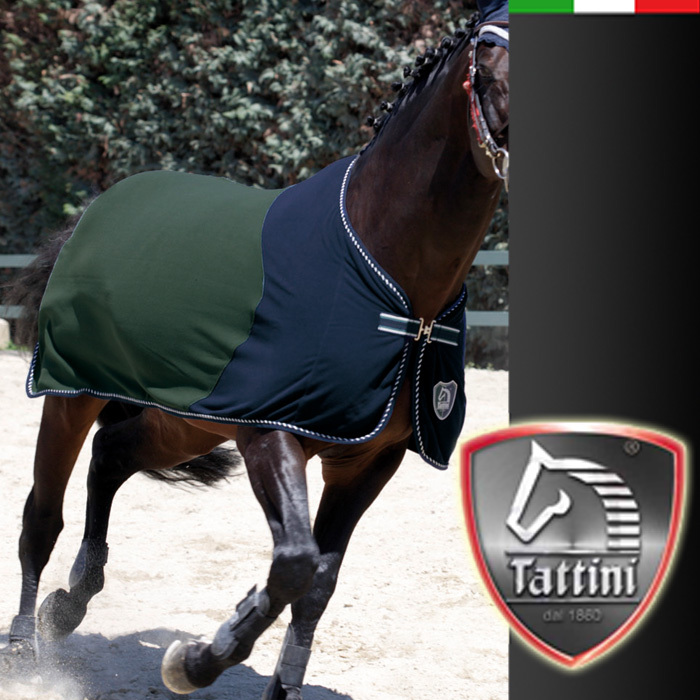 But ask your self seriously – does your horse really need another rug? Are you rugging to please yourself or your horse? Unless the horse is clipped and/or living out 24/7, most horses will not need rugging until temperatures dip to around 5-8°C. Rug older, younger, thinner or clipped horses sooner. Obviously clipped horses have lost their hair so replacing that layer with a rug is sensible. Above all it appears that informing yourself with the vital facts is key. As it always should be when you are a horse owner. As well as keeping and maintaining a balance. Check your horse regularly and check outside temperatures regularly. If your horse lives out, make sure there is shelter available so it can be used when needed. This could be a field shelter or a stable. Remember though that the horse is indeed a horse. Take into account the above points and in doing so, the horses well being is put first. Over rugging the horse can, as we have seen above, cause problems in itself so do not be tempted to wrap them up too much, just because you feel the cold more! Ultimately, horses are tougher that we think!